Abstracts: Topology is one of the most important spatial relationships in the semantic level. There are two basic approaches in topological reasoning: region-based methods of RCC and "n-intersection" model based on points. One of the key problems in GIS spatial reasoning is how to use the basic data in the database with relevant space constraints information so as to obtain the required spatial information. What’s more, the topological reasoning is the foundation of GIS spatial reasoning, querying and analysis which has a direct impact on the development and application of GIS. It is useful to combine spatial reasoning with time and space, fuzzy, hierarchical topology for GIS and other spatial reasoning methods in a human cognitive pattern making the model easily to be understood in the expression of the topology information and cognitive styles. It is a trend moving Topological reasoning towards networking and popularity. 蔡少华,翟?#35282;?/font>. GIS基础空间关系分析 [J ] . 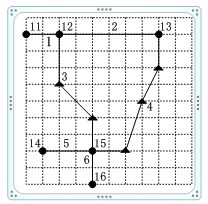 测绘工程,1999 , 8 (2) : 38242.